One of the wonderful things about Stowe is the thriving artist community and the support the it gets from the Helen Day Art Center. For the past 20 years Stowe has hosted Exposed! 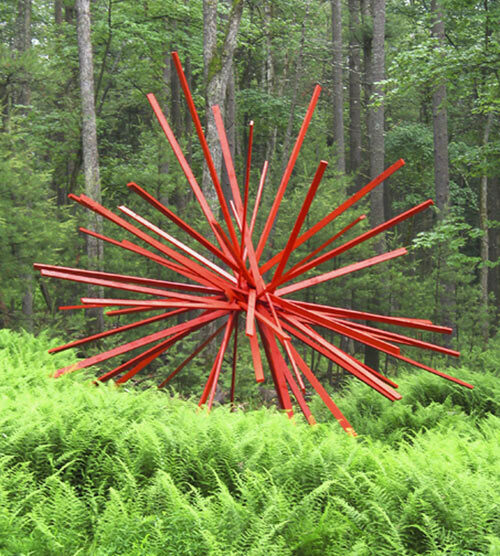 the annual outdoor sculpture exhibition, which features sculptures from over 20 national and international artist. On display throughout town and on the bike path, the sculptures add to the natural beauty of Stowe. Opening on July 8th, the sculptures will be on display through October 8th. Many of the sculptures can been seen early as they are being installed. For more information about the artists and the Helen Day Art Center, click here.